Patch 3.6: Synthesis was released on 08 March 2019, and is the first league of the new year. 2018 was quite a knockout league for Path of Exile, with several of the leagues setting playerbase records time after time again. Two leagues — Delve and Betrayal — emerged with incredible acclaim and set new bars for game popularity. 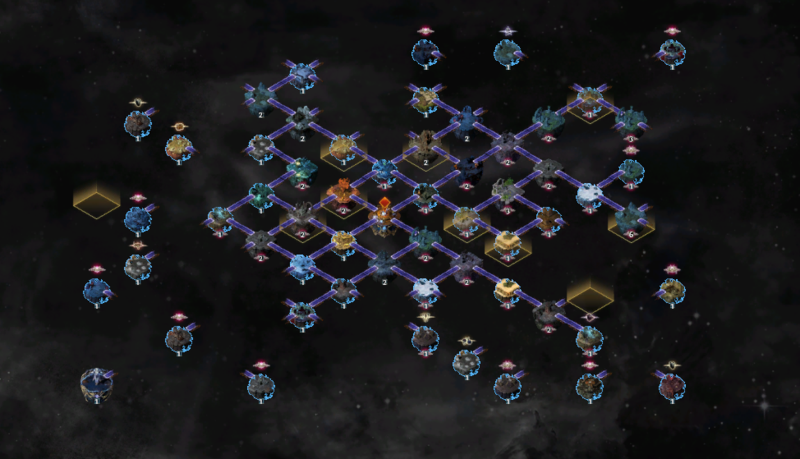 Synthesis incorporates the Syndicate system from Patch 3.5 into its system organically, and introduces a new system of interlocking memories that can be connected in a variety of ways to reach exclusive rewards. Cavas is the newly introduced, Synthesis league-specific NPC that the entire concept revolves around. 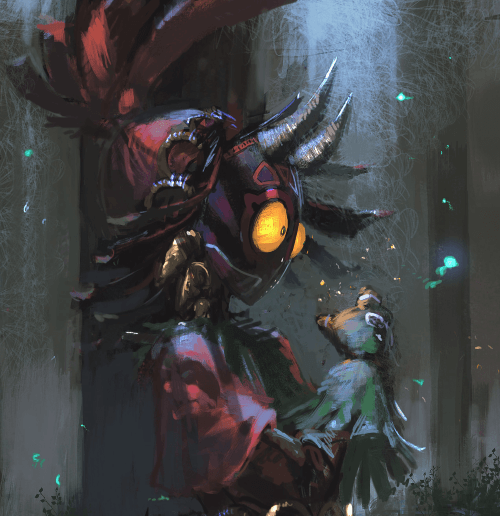 His memories have been fragmented and scattered, and the exile must recover them and chain them together once more. 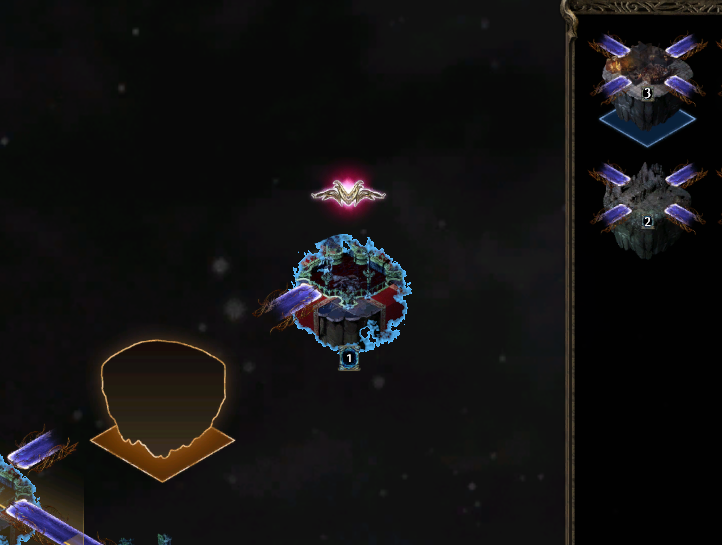 The player will find a “decaying memory”, and must activate “stabilisers” in order to recover the memory before it collapses around the exile. The recovered memories can be bridged together, similarly to the Temple of Atzoatl, and the fragments may only be explored a limited number of times. Careful planning of pathing and connections must be noted in order to achieve the best possible rewards. Progressing deeper with the mind and memories of Cavas will bring the player face to face with progressively more difficult foes. Similar to Delve, the most recessive depths are the most lethal, but also provide subsequently more uncommon and potentially valuable rewards. There are three bosses that the player can encounter, each with different mechanics, challenges, and rewards. Fractured Items are the exclusive reward that Synthesis brings to the table, obtained from decaying memories. They have “broken” modifiers — this denotes an affix that is “locked” in place, meaning it cannot be modified, even by crafting currency. This can be a blessing and a curse. While many of the fractured items may have low tier rolls, or are perhaps not useful as they come, it will make crafting certain items significantly easier. 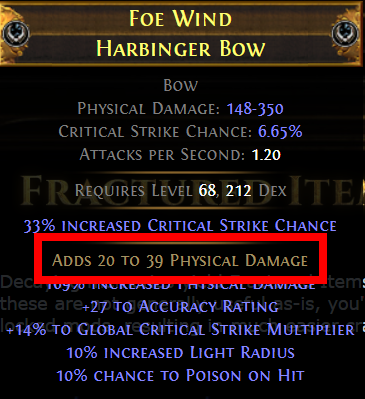 Obtaining a fractured piece with a high tier locked affix allows the player a much higher degree of flexibility when approaching crafting. This is of particular benefit to players that opt to play on Solo Self-Found leagues, as it can significantly reduce the amount of currency required to obtain an end-game viable item. Players can destroy Fractured Items using a new machine, called the Synthesiser, to create new base types that have custom implicit modifiers. This allows a player to sacrifice their guaranteed “locked in” affixes in exchange for a base item with a far more powerful implicit. While it may be more difficult and more expensive to craft, it will also have higher potential as a top tier item. Some of these affixes, such as the Jewel shown above, are incredibly potent additions. Items may have both enchants and Synthesized implicits. Three Fractured items of the same item slot must be sacrificed to Synthesize a new item. If all three items are the same base, you are guaranteed to receive that base as your newly Synthesized items. If they are of differing bases, you a one-in-three chance to receive any of the bases you provided. The Betrayal League system has been integrated into Synthesis naturally, rather than continuing to appear as encounters in each area. Whenever the Syndicate appears in an area, there are guaranteed to be 3 Syndicate encounters. The amount of Mastermind intelligence necessary to access the Mastermind’s lair has also been significantly reduced (about one fifth of its former amount). A large amount of focus for the last year has centered over the viability of self-cast spell based builds. Synthesis promises to address the disparity, delivering a spellcasting balance overhaul for all the spells in the game. This leads most people to expect that self-cast builds will finally have their day in the sun once again. In addition to spell balancing, Chaos damage is receiving a number of tweaks to make it a viable spell type once again. Holy spells have also been added, creating the possibility for a slew of new builds and archetypes. Several new nodes have been added to the passive tree as well, such as Ethereal Feast. Energy Shield has received quite a few direct and indirect changes and buffs, which has lead to an enormous rise in Low-Life and Chaoss Innoculation builds . 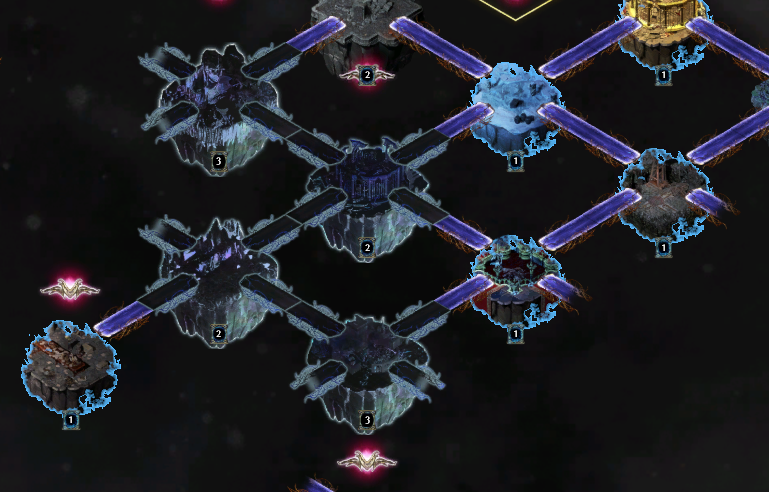 You cannot fast travel to distant tiles, and must always proceed from the Memory Nexus outwards, even if you have already placed memories that are no where near the Memory Nexus itself. This ensures that you will always need a fresh supply of fragmented memories to replace old tiles which run out of charges. You can plan memories in advance on the Memory Map. Click on a tile to see locations where it can be placed. Placing memories in advance does not remove them from your memory bank, however, it does allow you to start experimenting with paths in advance. Planned tiles are displayed as translucent and help you get a better idea of what tiles you will need to reach distant memories. Remember to take into account the tiles that you might use up while trying to reach your destination. There can only be a set number of tiles placed and distant memories active at any given time. You can view this in your Memory Map. A fragmented memory tile may only have a maximum of 5 Memory Modifiers, which was a mid-league change to prevent players from stacking obscene numbers of quantity mods on certain tiles. It is best to stack modifiers on tiles that have already had their lifespan extended by a Memory Amplifier. Try to wait until you have stacked the maximum of 5 Amplifiers before using up your charges on the fragmented memory for maximum efficiency. You can right click on existing memories to remove them from the memory void. This allows you to change your plan of attack if new distant memories appear, or delete existing tiles that are not as flexible as potential acquisitions. 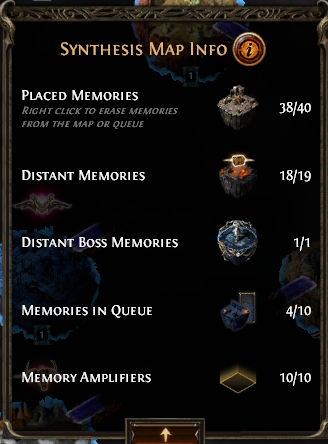 When encounter Cavas or Zana in an area, you should carefully consider whether it is worth completing their fragmented memory, as you will have to place it and either run it or delete it once it is acquired. Generally speaking, it is only worth it to get 3 or 4 forked memories, as they offer the greatest amount of flexibility. There are also specific tilesets that offer larger areas and better densities. You can still run the fragmented memories for items and experience – simply do not click on the stabilizers of the memories you do not want to collect. Which Distant Memories Are Best? In most cases, you will seek out Memory Modifiers above other Distant Memories, simply because of the quantity rewards they reliably provide. They also offer a greater degree of control over the rewards, as you can choose the tiles to apply them too, allowing you to stack several of them on a tile that is extended by a Memory Amplifier. 16 Apr 2019 Updated compendium and added new tags for 3.6 skill gems. 06 Mar 2019 Added new skill gems, support gems, and full patch notes.